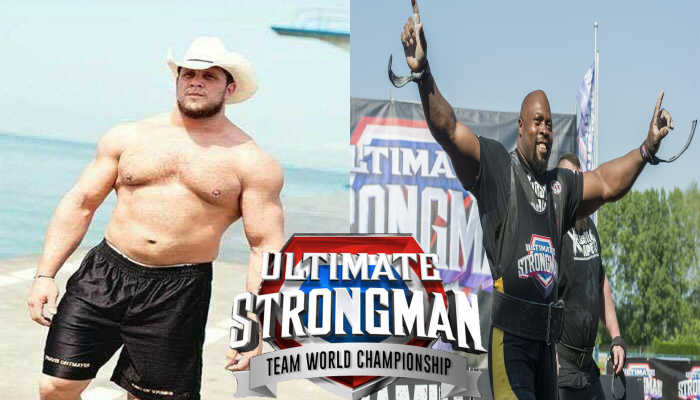 Team Legends is made of two greats in the world of strongman, Travis Ortmayer of USA and Mark Felix of Grenada. 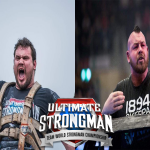 These greats will partner each other for the first time in the Ultimate Strongman Team World Championship in Stoke. First, Travis Ortmayer known is known as the Texas Stoneman. Ortmayer has, unsurprisingly, a particular liking for the atlas stones. However, Travis is no one trick pony, he started off in bodybuilding, moved on to powerlifting and finally settled as a successful international strongman. He has competed in numerous world stage strongman events such as the Arnold Classic and placed 5th in Worlds Strongest Man on 3 occasions. In recent history Ortmayer has been plagued with injury that has severely limited his potential. Injury forced him to retire from World’s Strongest Man 2011. Despite his low-profile in 2012, Ultimate Strongman have invited Ortmayer to return to the strongman scene in style at the Team World Championship. Travis Ortmayer’s partner is Mark Felix. Mark Felix is getting older but is becoming even stronger with age. Mark Felix has won the Team World Championship before and is looking to do the same with Team Legends. Mark Felix in 2015 became the Ultimate Strongman Master World Champion. Mark Felix will bring his tremendous back power for the deadlift in the team world championship and his grip will play a major factor too. Felix has won numerous international grip contests, including the Rolling Thunder World Championships in 2008 & 2009, as well as the Vice Grip Viking Challenge in 2011 and 2012. Felix has also held the Rolling Thunder world record since 2008, as well as the Captains of Crush “COC” Silver Bullet world record. Due largely in part to his grip achievements, Felix is widely regarded as having the strongest grip in the world. With experience and power, Team Legends are the team to watch out for the title. UK’s Strongest Kid competition on Easter Monday in St Albans – Will you be there? Little people with big muscles will be battling it out on Easter Monday at the free to enter UK’s Strongest Kid competition in Hertfordshire. Part of the UK’s Strongest Man event, which happens in the summer in historic city St Albans (20 minutes from London), and is shown on Channel 5 at the end of the year, the UK’s Strongest Kid competition will take place in the centre of St Albans and is set to draw the crowds. The young contenders will be demonstrating their strength in a number of iconic ways; emulating their adult counterparts, and at the end of the day, one lucky youngster in each age group will be named the UK’s Strongest Kid 2019. Entrance is free, but we ask that you kindly consider a donation to our charity partner Home-Start, a leading family support charity. Donation button below. Thank you. The first challenge will be a series of strongman tests (to be announced shortly) suitable for all levels. Every child taking on the challenge course will receive a free signed certificate. For older children with strength training experience there will be a second stage with a deadlift and dumbbell press.. At the end of the day, winners will be announced and will receive their trophy and Title of UK's Strongest Kid! 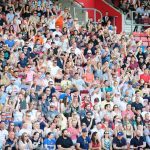 The UK’s Strongest Man competition itself is a 3-day family-friendly festival/competition will take place in St Albans across the last weekend in July (26th 27th and 28th). Last year 10,000 people enjoyed the spectacular competition in Verulamium park. The three days were jam-packed with great strongman action, live music, free kids entertainment, food and drink, and much more in this festival of strength. The tournament was then shown on Channel 5 in November/December – bringing St Albans to a viewing public of over 2 million. The search for the UK’s Strongest Man 2019 finalists begin shortly as the Qualifying rounds get underway in England, Ireland, Scotland and Wales. At the end of the process the 16 strongest men will descend on St Albans to once again battle it out for the title of UK’s Strongest Man. Click onto our website to read about Team Yankees as they prepare for the Team World Championship. Click onto our website to read our Q & A with Team Pirates with the Team World Championship not far away!